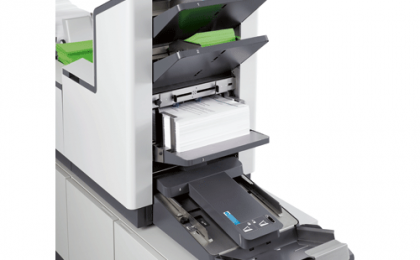 Bring your productivity to a new level with the Formax 7202 Series Inserters with its combination of user-friendly innovation and flexibility. Ease through job setup! 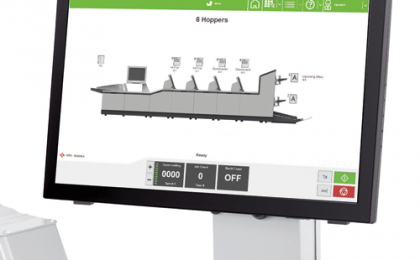 The Formax 7202 Series will guide you through step by step on a 22” color touchscreen interface that including context-sensitive help on every screen. 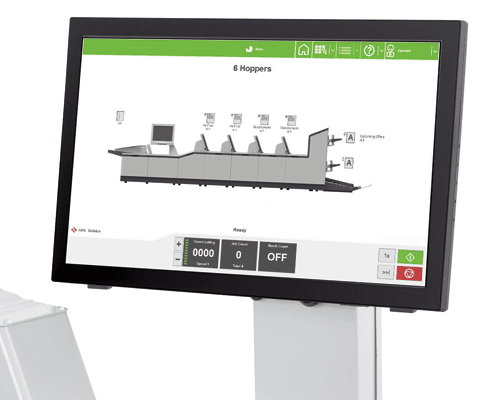 With the modular (sectional) design of the 72002 Series, you can have up to 11 feed stations, high-capacity feeders, and standard capacity feeders that hold up to 2,000 sheets. 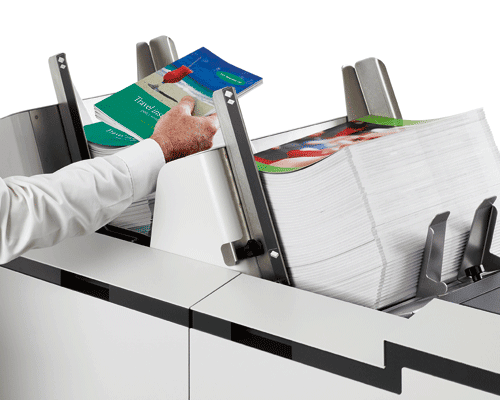 It can process up to 5,000 envelopes per hour and insert into flats up to 10” x 13”, fold up to 8 sheets at once! The tower feeders of the Formax 7202 Series contain sensors allowing automatically re-start after the empty feeder is refilled. The top-loading High-Capacity Versatile Feeders have been redesigned! 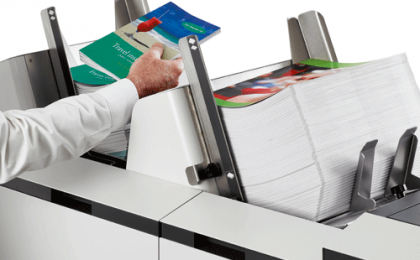 Now its even easier to reload on-the-fly, and they provide the ability to insert a variety of media, including glossy booklets, DVDs and small inserts up to 6mm thick. 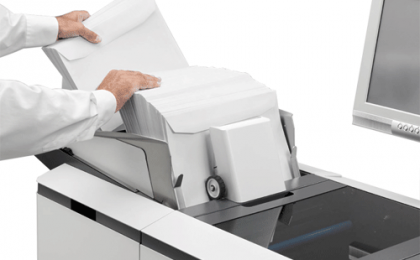 The top-loading envelope hopper of the Formax 7202 Series holds up to 800 #10 envelopes or 500 flats, in landscape orientation and allows for easy refilling and offers higher processing speeds, fewer jams, and lower envelope costs. 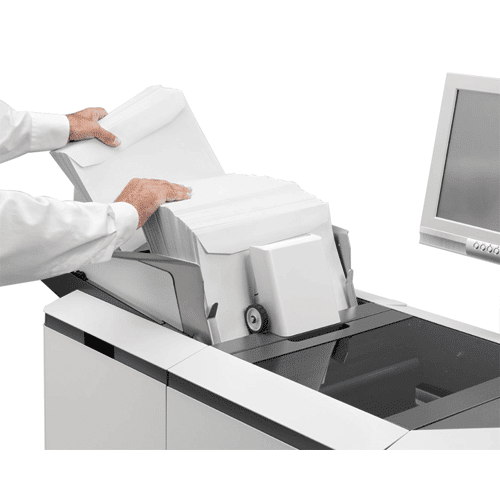 Additional user-friendly features include unlimited pre-programmed jobs, with automated fold plate adjustment. Setting a fold is super simple! Simply set the first fold plate and the second moves into place automatically based on media size. 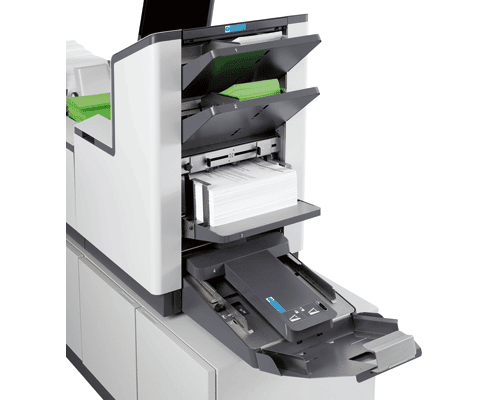 The Intelligent Tower can be equipped with 1 or 2 CIS scanners with the ability to read codes on both sides of an insert. Allowing for face-up or face-down feeding. 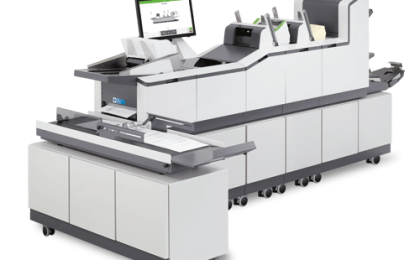 An optional multi-read license is also available which reads Single-Track OMR, 2-Track OMR, BCR and 2D Data Matrix. 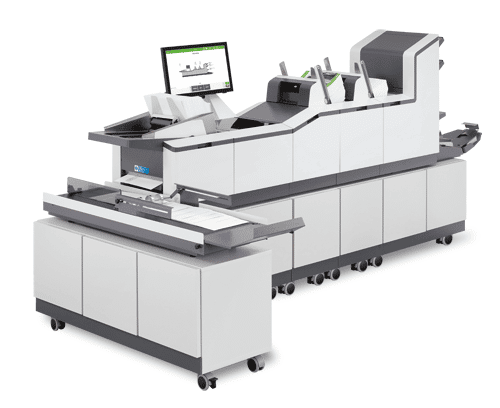 Standard features of the Formax 7202 Series Inserter include a High-Capacity 4-foot Output Conveyor which can be used straight-on or at a 90 degree angle to the system. A highspeed/capacity Accumulator and Divert Deck which holds up to 300 sheets, and custom cabinets. Options include High-Capacity Versatile Feeders (with or without Intelligence), an Envelope Sorter/Diverter, and two different catch trays. Dimensions & Weight: Tower Feeder w/Inserter Base: 107” L x 36” H x 25” D, 743 lbs. High Capacity Versatile Feeders: 16” W each, 133 lbs.